Since the Samsung Galaxy S5 was released, we’ve received quite a lot of complaints from our readers who own the phone. Among the most common issues are power-related; device won’t turn on, not charging, heating up, or stuck in boot loop. There are also cases wherein these problems started to show after a firmware update and that leaves us to think it might be the update that messed up the phone. The problem occurs in various degrees. Either your phone won’t charge at all when it is plugged in, or it will only charge very slowly (sometimes barely faster than it is discharging). It’s a very common complaint, so here are a few solutions. 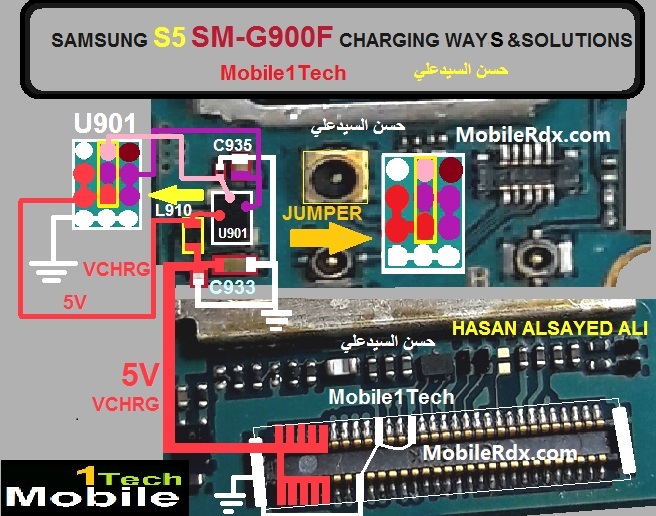 Here is the solution for Samsung Galaxy S5 G900F Not Charging problem like there is No Charging indication shows on the display when the battery charger is being a plug-in. This problem is may cause by faulty components on Samsung Galaxy S5 PCB board. This problem may sometimes happen if the device suffered wet or water damaged or just exist. We are always open to your problems, questions, and suggestions, so feel free to send them at [email protected] We support every Android device available and we are serious about what we do. This is a free service we offer and we won’t charge you a penny for it. But please note that we receive hundreds of emails every day and it’s impossible for us to respond to every single one of them. But rest assured we read every message we receive. For those whom we’ve helped, please spread the word by sharing our posts with your friends.